Our most powerful and highest capacity SD UHS-I memory card delivers maximum speed for performance, reliability, and uncompromising image and 4K UHD video quality from your DSLR, advanced digital or HD video camera. Transfer speeds up to 95 MB/s move your data fast for efficient post-production workflow. 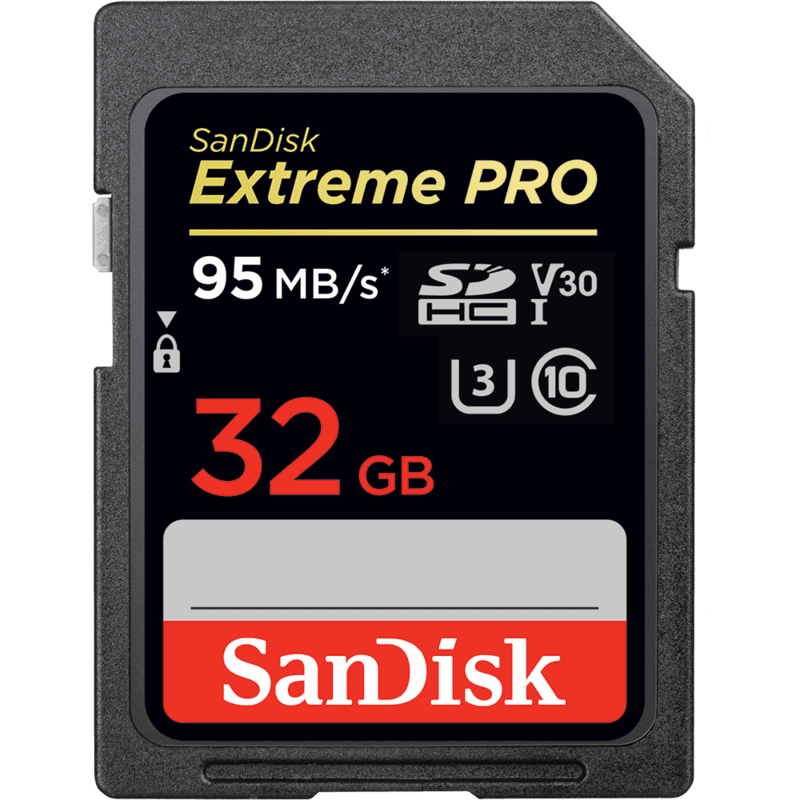 With UHS Video Speed Class 30 (V30) [32GB-256GB cards only] and UHS Speed Class 3 (U3)ratings, the SanDisk Extreme PRO SDHC and SDXC UHS-I Cards let you capture uninterrupted 4K UHD and Full HD video. This makes it ideal for professionals recording extreme sports and other fast-action activities without dropping frames.